Just as I had feared, I ended up not making as much progress during Bout of Books 14.0 as I had anticipated. When you're an adult, working full-time and having to respond to the demands of day-to-day life, it can be a well a true challenge to live up to your best intentions . . . TBRs included. By Sunday night, I hadn't completed a single book that was on my TBR. I was about twenty-pages from the end of Underground and about two-third of the way through Gone Girl; I had just started reading the second story in After the Quake. For a busy workweek, that isn't something to sneeze at. Let's put my failed goal into perspective, shall we? Seventy-five percent of Americans over the age of sixteen read at least one book a year; of this seventy-five percent, the median reader read fifteen books a year. Taking all Americans into account (including the twenty-five percent who don't read at all), the average American reads six books a year. As of Sunday, I had read two books of essays, two works of non-fiction [otherwise un-categorized], eleven novels, and twenty-six children's and young adult books. That's forty-seven books so far this year. To make significant progress in an additional two books isn't a failure in my eyes. Maybe I need to stop making prescriptive TBRs or even announcing my participation in read-a-thons. 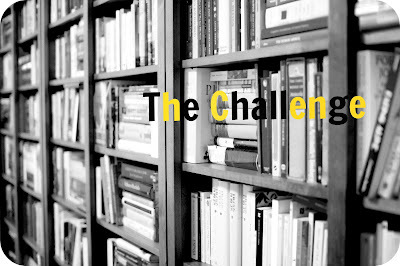 It's challenging to commit yourself to a hard and fast reading goal where there are so many other phenomena that are competing for your time and attention. Maybe, instead of making challenge specific TBRs or even monthly TBRs I should take another crack at setting reading goals for the month, like a thousand pages or five books in a month? Maybe I should make a master list of the books I have not read that I own or create a TBR of books that I have checked out on my various library accounts? Maybe what's needed isn't to put my TBR fail into perspective, but to re-imagine, re-define what the TBR means . . . at least to me.